We are sending you the requested information. Tapas: calle Navas, Realejo-Campo del Príncipe, Plaza Trinidad and calle Elvira. 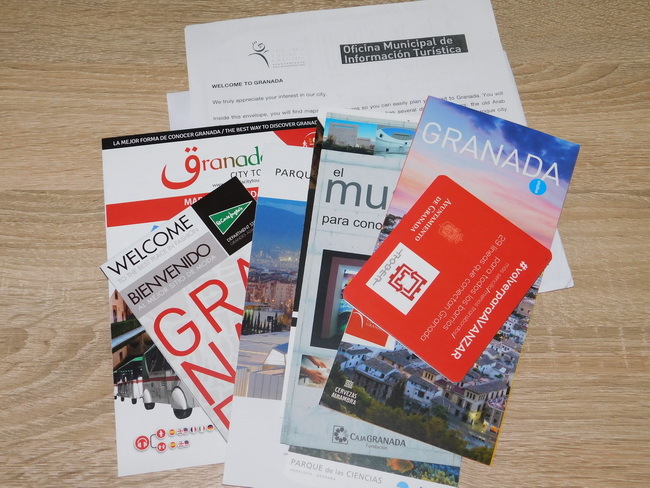 To visit the city, we suggest you purchase the Granada Card. It includes tickets of the main monuments of the city, including the Alhambra, and some rides in local buses. Further information in our web page www.granadatur.com."